Monte Carlo is mostly famous for hosting jet-setters and very high stake gamblers. But a few times a year, they also put on some very good boxing cards. On Saturday, they will host a heavyweight tilt between Luis Ortiz and Malik Scott. It is hard for me to imagine that fight ending in any way besides a KO victory for Ortiz, but simply by virtue of featuring the undefeated Cuba, it is a compelling bout. 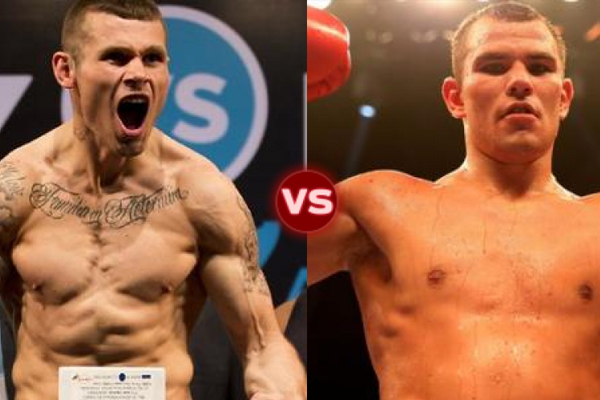 The undercard will include a very worthwhile super middleweight bout between Britain’s Martin Murray and Dmitrii Chudinov of Russia. Chudinov was formerly the interim WBA champion at 160 pounds. Murray has never held a belt, but has come very close in a couple of challenges at both 160 and 168 pounds. He is definitely one of the best fighters in the world at those weight classes. Chudinov’s only loss came in February 2015, via Round 12 TKO against Chris Eubanks. Eubanks is probably top five at 160. Murray first fought for a world title in 2011, when he faced then-WBA champ Felix Sturm in Germany. The result was a draw, with Murray winning one of the three judges’ decisions. For a visiting fighter in Germany, that is as close to a win as you can come sometimes, without knocking the hometown fighter out. Murray fought Sergio Martinez in April 2013, in Martinez’s native Argentina. The fight took place in pouring rain, in a soccer stadium. The ring was slick with sheets of water. Murray dropped Martinez in Round 8. Martinez hit the canvas again in Round 10, although it was incorrectly ruled a slip. By my own scoring, if Murray had gotten the credit he deserved for that knockdown, he would have left Argentina as the lineal middleweight champion of the world. In 2015, Murray turned in a gutsy performance against middleweight destroyer Gennady Golovkin. Murray climbed off the canvas twice in Round 4 and again in Round 10, but ended up stopped on his feet in Round 11, a referee’s decision that very much protected his own health. Murray gave WBO super middleweight champion Arthur Abraham all he could handle in November 2015, but lost by split decision. Abraham ended up dropping that belt to Gilberto Ramirez in a unanimous-decision shutout, earlier this year. It’s tough to picture either Murray or Chudinov winning taking a belt from the likes of Ramirez of James DeGale. But the winner will definitely deserve to be viewed as a true contender in this hot division.